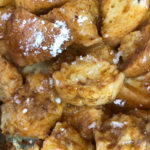 This Easy Pumpkin French Toast Casserole Recipe is the Perfect Make-Ahead Breakfast for a Chilly Fall Morning or Holiday Brunch! We love Slow Cooker recipes, especially for breakfast and brunch. Some of our favorites include Slow Cooker Sausage & Egg Breakfast Casserole and Easy Slow Cooker Spinach Bacon Quiche. This time of year calls for family together-time and holiday celebrations. It also calls for pumpkin! Fortunately, these two favorites fit together beautifully in one delicious recipe. It’s easy, it’s delicious, and it’s budget-friendly. Really, who could ask for more? You can use just about any type of bread you like, but I would suggest using a firm bread that will stand up to the custard and the cooking time. Challah, French or Italian bread, or Ciabatta are all good options. 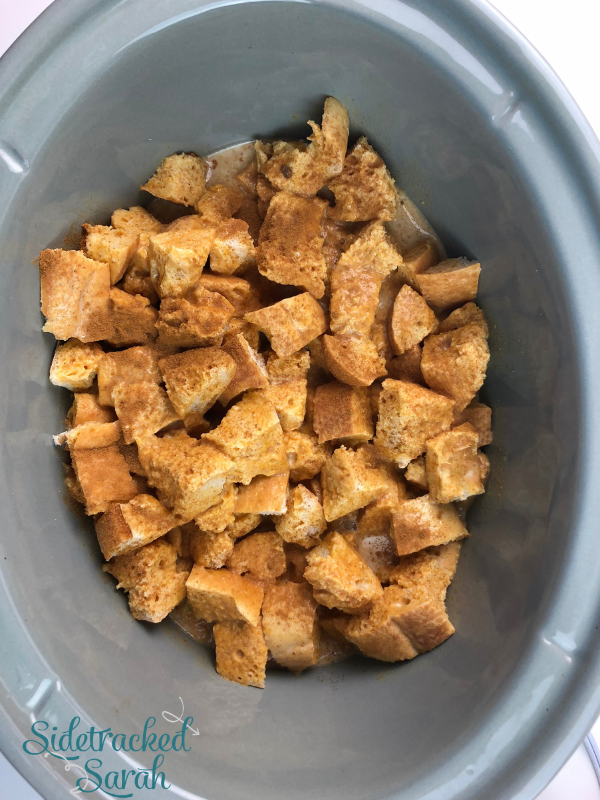 CAN I USE DAY-OLD BREAD FOR EASY PUMPKIN FRENCH TOAST CASSEROLE? 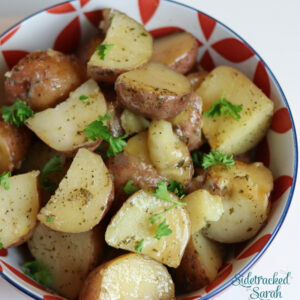 You certainly can – that’s part of what makes this recipe so easy! There’s no need to make sure you have fresh bread on hand. When you want to relax with family, that’s one more thing off your plate! 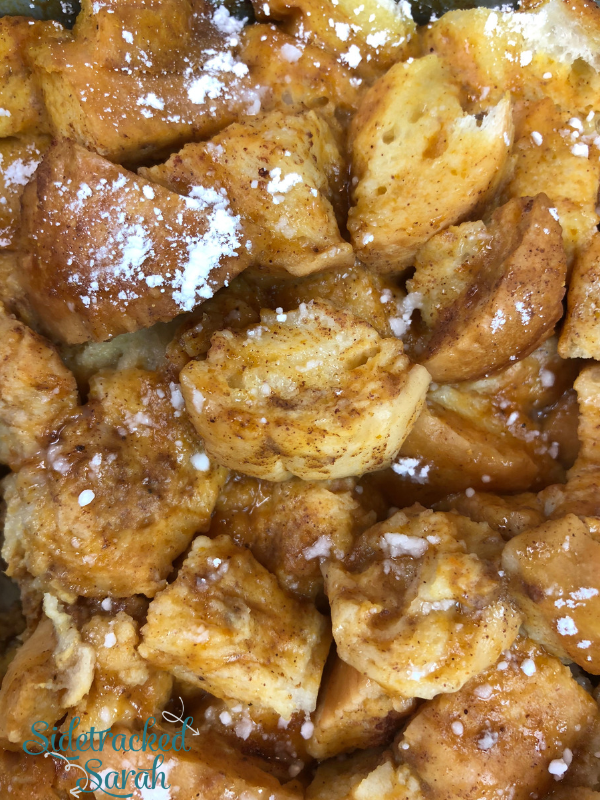 Actually, French Toast Casserole tends to work even better when you use day-old bread, since it soaks up all that wonderful custard and still has an amazing texture when it’s done. WILL EASY PUMPKIN FRENCH TOAST CASSEROLE FREEZE WELL? I wouldn’t recommend freezing this recipe, but it will keep well in the refrigerator for a few days. It makes a wonderful snack or quick meal whenever you get a craving for it! Cube the bread into small to medium sized squares. Place cubed bread in bottom of slow cooker. 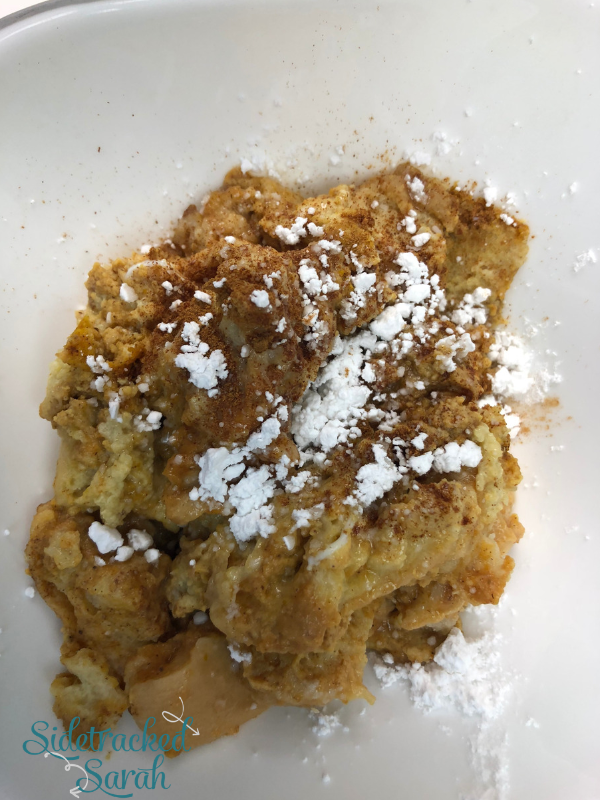 Mix together pumpkin, eggs, milk, vanilla, pumpkin pie spice and brown sugar. Cook on low for 4-6 hours or on high 2-3 hours.